My Landlord Isn’t Depositing My Rent Checks, Should I Worry? I have been following your articles on SFAppeal for a while. I just had two questions to ask: 1) My landlord has not been depositing the checks I send to them for rent. 2) My landlord also has not been sending a receipt as note of receiving my check. I’m not sure what the rules and regulations are about the two concerns. I couldn’t find anything at the SFTU and SFRB sites. Any advice would be greatly appreciated, thanks. This is one of the oldest tricks in the landlord playbook. We used to see it employed all the time when I worked at the Homeless Advocacy Project. If an SRO hotel landlord (think Sixth Street) didn’t like a tenant but could not find any reason to evict her legally, he would simply stop cashing the tenant’s rent checks or accepting rent. The logic is simple: Tenants, especially at risk, low income tenants, will spend the rent money. At some time in the future, if the landlord deposits all of the checks tenant’s checks at once, oops, the checks bounce. The landlord could serve a 3-day notice to pay or quit and, boom, the tenant is out. The tenant harassment section of the Rent Ordinance (Section 37.10B) provides a long list of prohibited conduct if the conduct is done with ulterior motive and designed to harass tenants. Section 37.10B(a)(11): Refuse to accept or acknowledge receipt of a tenant’s lawful rent payment; (12) Refuse to cash a rent check for over 30 days. 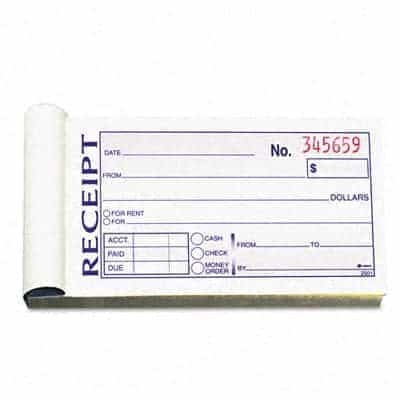 California Civil Code §1499 also requires receipts for rent payments. Unfortunately in Larson v. City and County of San Francisco (2011), a case testing Proposition M remedies, the court found that the Sections 37.10B(a)(4-15) could not be enforced by the San Francisco Rent Board. But my reading of the case is that you can sue the landlord for violation of the Sections 11 and 12 in small claims court. Obviously, the first thing to consider before you start any inquiry of the landlord is if you have all of your rent saved. If you don’t have the money, get it now because your tenancy is doomed if you don’t. The next thing to do is to write your landlord a letter. Tell him that you noticed he isn’t cashing your checks. Ask him why. Or if you want to be more aggressive, demand that he cash your rent checks and cite the law that requires him to do so. Tell him you’ll take him to small claims court and demand “injunctive relief.” In other words you’ll ask the court to order him to cash your checks. As usual, I suggest that you go to the San Francisco Tenants Union to go over your strategy with a counselor. I also believe tenants should start referring these matters to the San Francisco District Attorney’s Office. Maybe it’s time for the cops to start busting scofflaw landlords rather than pot smokers.